The above photograph is from the exact same location as the top picture in this post. As you can see in the old photo, there were three main lines running through this area. There is an addition side track to the right (east) of the one in this photo. 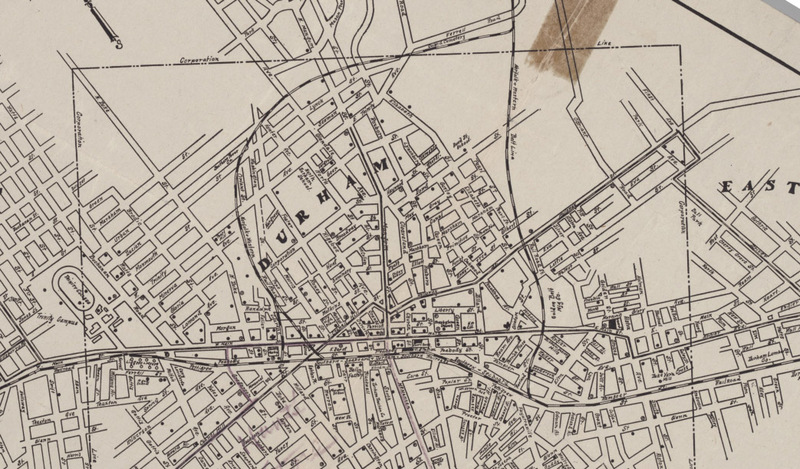 It ran back north to the Erwin or Pearl Cotton Mill. 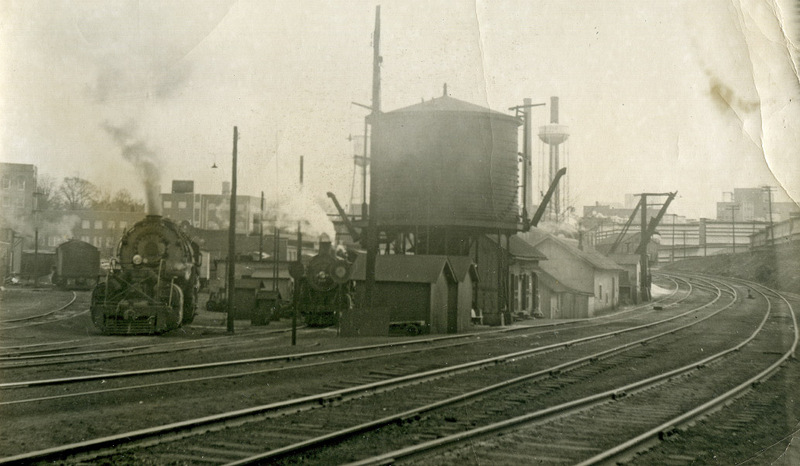 To the left of the three main lines was the water tower and repair yard for the trails. Some of the old ties and rails are scattered about in this space. This area is just behind the existing Blue Note Grill and the red truck in the background belongs to Erwin Oil. Built in 1891 primarily to bypass the control of the railroad tracks between Five Points and Dillard by the Durham and Clarksville railroad, the Duke Beltline provided passage north of and around the town, connecting to the main line adjacent to the Duke Factory, and connecting to the Timberline railway northeast of town, which then connected to the main line east of Dillard St.
Below, a 1924 map that accurately shows the Beltline and the Norfolk Western line heading north into Person County.